Earlier this summer, EASST partners from Kyrgyzstan, Armenia, Georgia and Tajikistan traveled to Bishkek to attend a specialised training course led by the European Bank for Reconstruction and Development (EBRD) on Social Risk Management and Health & Safety. 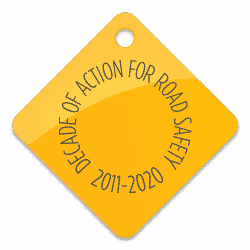 Our EASST partners have all been involved in the implementation of EBRD projects from Road Safety Awareness Campaign in the towns of Shuakhevi and Khulo, in Adjara, Georgia to the Dushanbe Seat Belt and Eco-Drive Awareness Campaign. In delivering these projects thorough risk assessment, stakeholder engagement, and project management is essential to ensuring the project meets the needs of everyone in the local communities they are serving. Projects that involve the construction or expansion of roads can have a significant impact on nearby communities. In some situations, a new road may be built through a village or town introducing larger, faster moving vehicles to the environment. Community consultation and awareness around road projects and road safety is critical, particularly for vulnerable road users such as the elderly, children and people with disabilities who are most at risk. “We gained huge knowledge how to evaluate our social impact and understand the social consequences of our impact that people and communities might experience as a result of our projects. We learned how to better communicate with interested parties, provide information about the project, deal with complaints and appeals, and address security issues.